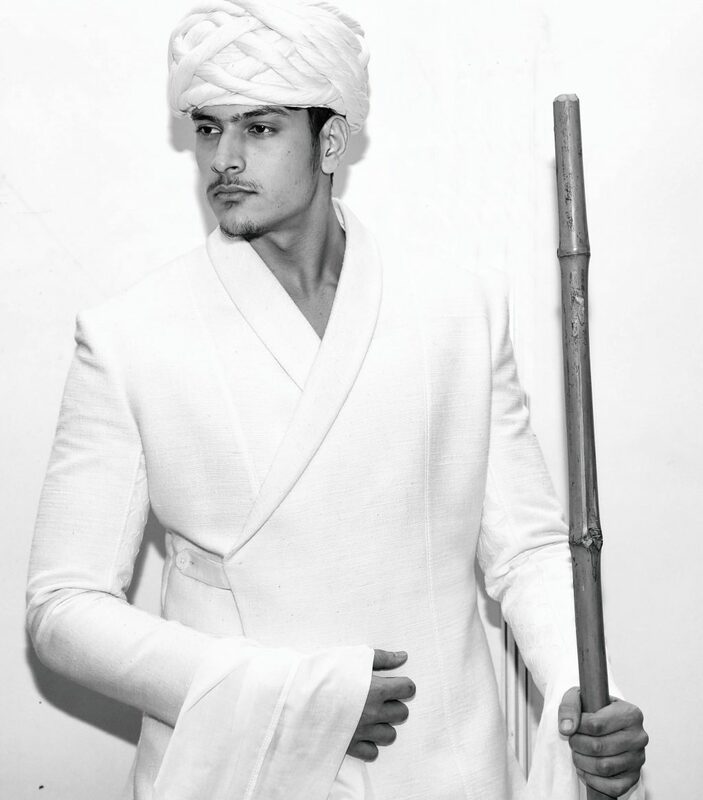 I shot this photo series during Rajasthan Heritage Week which was held at Diggi Palace in Jaipur because I was fascinated by the collections created by veteran designers Hemant Trevedi and Bibi Russell using khadi materials to celebrate the craftsmanship of hand-woven Rajasthani fabric. While Hemant Trevedi’s collection ‘Salt’ was a tribute to Mahatma Gandhi, the Bibi Russell collection contained nomadic and tribal details. 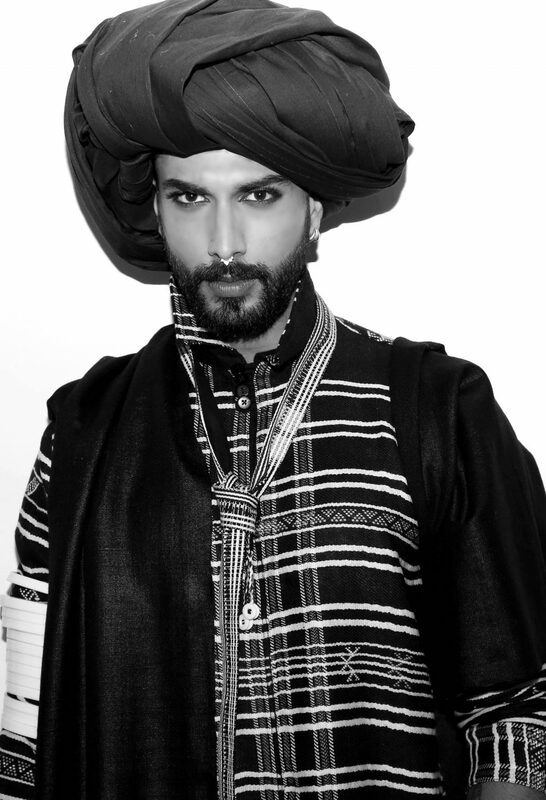 But the unifying feature between both collections was the beautifully tied turban worn by each model. 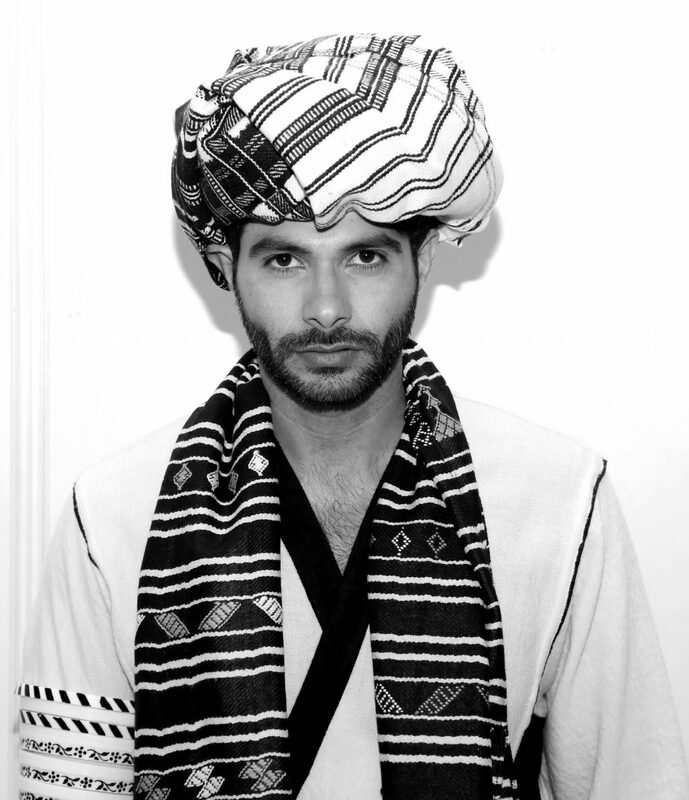 As a result, I decided to shoot a series of men in turbans. 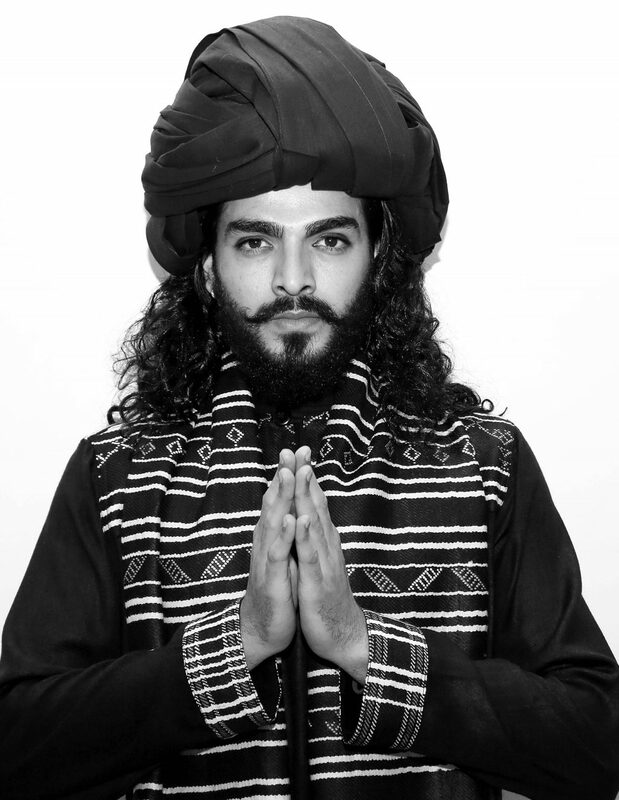 Bibi Russell’s kohl-eyed models were styled with voluminous turbans while Hemant Trevedi’s models wore more minimalist white turbans. 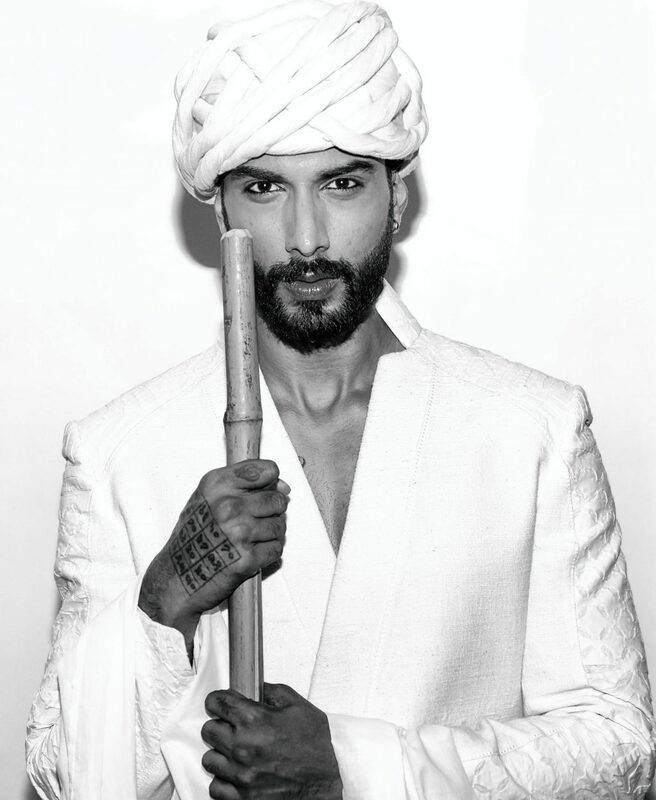 Mr India Prateik Jain, Arry Dabas, actor Atul Gaur, Mr. Supranational Jitesh Thakur and model Dhruv Soni were amongst those who posed for this particular series. 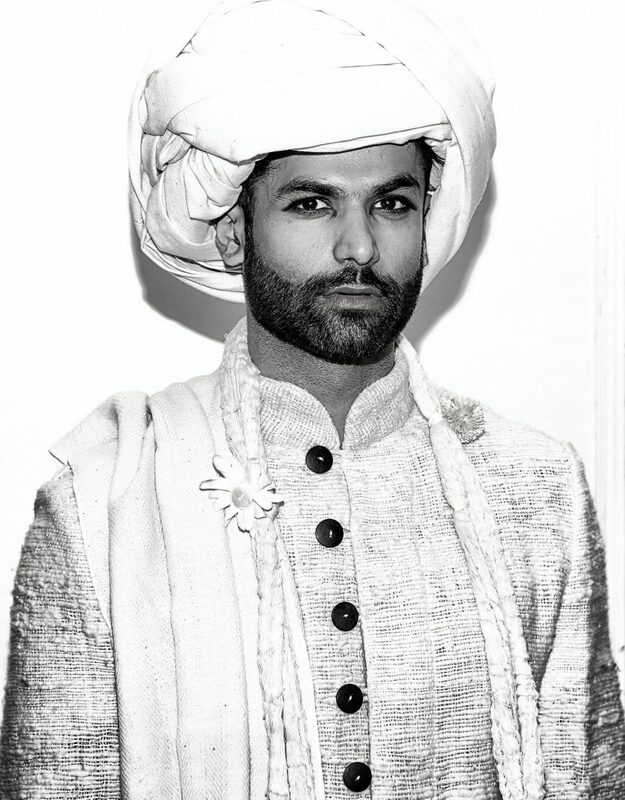 See more of Abhimanyu Singh Rathore’s fashion photography on his website Ishtailista and Instagram.